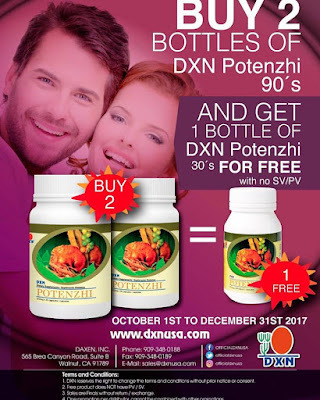 Why to join to DXN? Enjoy the benefits of DXN products! 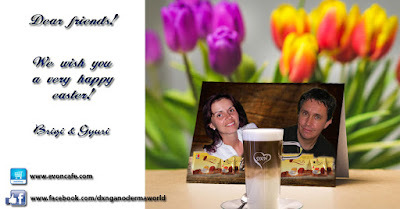 Have a nice and smiley day! 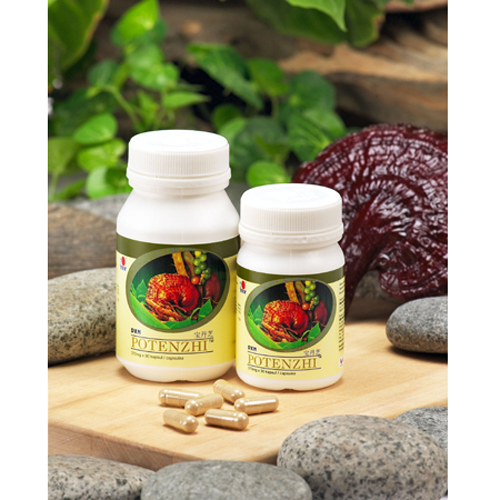 What is DXN Zhi Mint Plus? Free trip to Malaysia with DXN! Now you can spend a free few days trip in Malaysia. 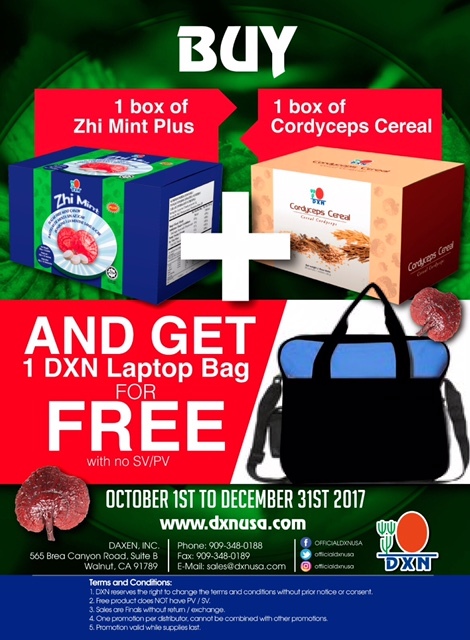 The DXN company rewards its successful members with such travels! Would you like to be the part of this journey? 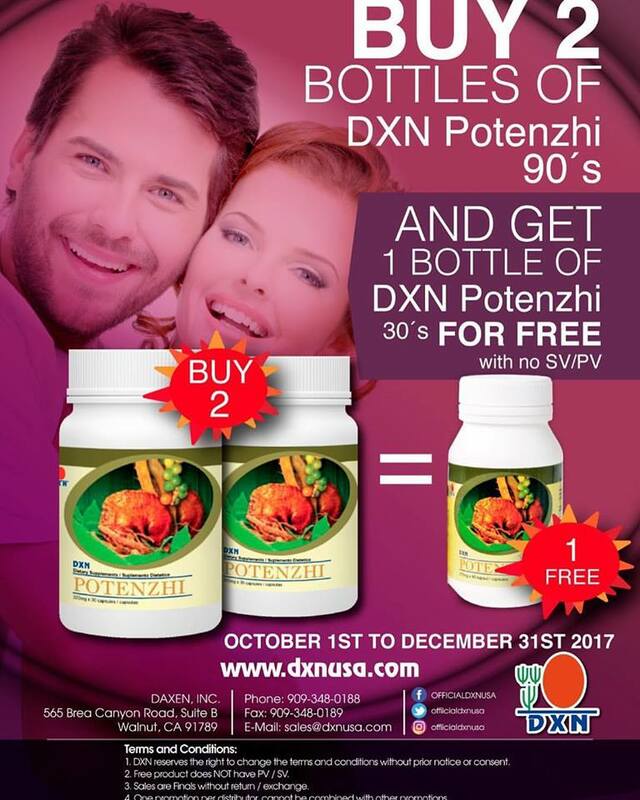 Join us to DXN now! 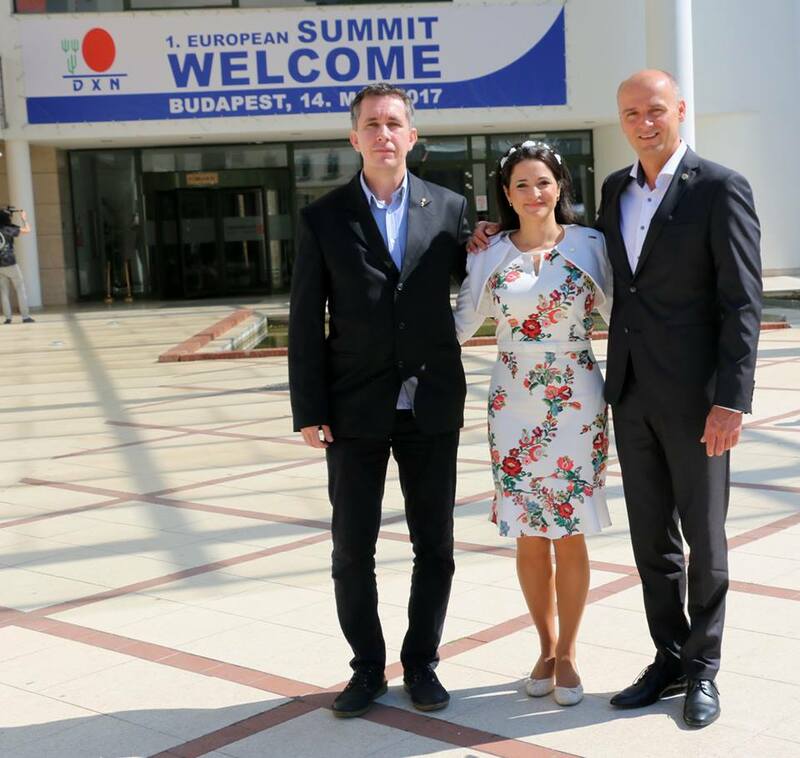 On Sunday was the DXN European Summit in Hungary and the 8th anniversary of European market opening. Networkers from many countries in Europe came to celebrate and rejoice in each other's successes. 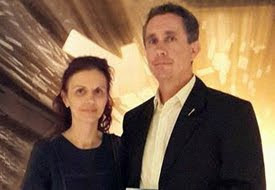 We have met a lot of people who can enjoy the true quality of life, whether financially or time-honored (Bus driver, cleaner, living in deep poverty, teacher, pilot, and so on). Dr. Rajesh Savera (ayurveda-doctor) with the help of a ceremony master, we met great guest speakers and we learned from them . DXN again proved to me that I'm in the right place at the mlm business. All of its products, past, present and marketing are unique in the world. 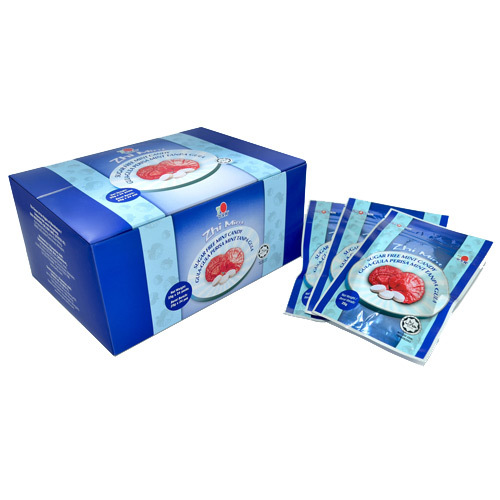 The DXN company provides you with the opportunity to create a quality life for yourself and your family. It's up to you to do it, or you just make up excuses. Would you like to be the part of DXN success? 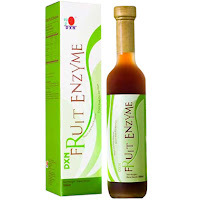 Join DXN now! 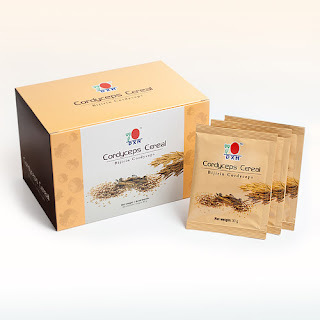 Are you ready to spend some time with your family? 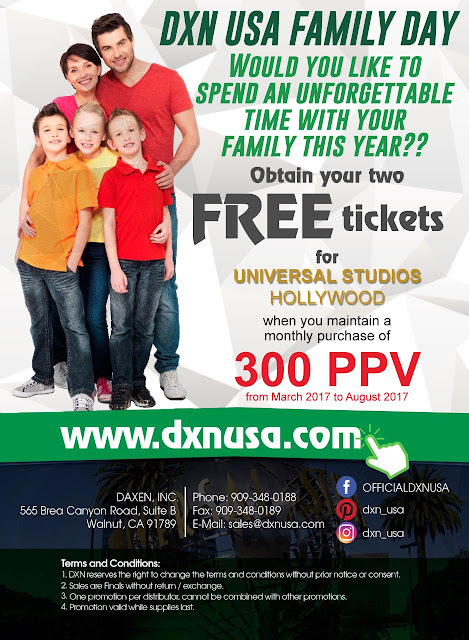 DXN gives you 2 tickets for Universal Studios Hollywood when you mantain a monthly purchase of 300 PPV from March 2017 to August 2017.